I'd like to ask for your help with something. You may have read on the LA County Recurrent blog that a 60s Zuma recurrent named Kris Kjeldsen died suddenly in New Zealand. The blog link is: http://countyrecurrent.blogspot.com/2011/07/bruce-kris-kjeldsen-rip.html . and wonder if you would share that link with your lifeguard's emailing list? It would be great if you could. 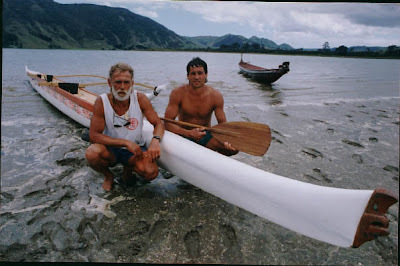 We recently heard from Retired Zuma Recurrent Lifeguard, Larry Loganbill, advising us of the sudden passing of one our 1960's era Zuma recurrent guards, namely, Bruce "Kris" Kjeldsen, who for many years had lived in New Zealand where he married, started a family and ran a very successful and award winning outrigger canoe company, Moana Nui. Kris, known as "Bruce" Kjeldsen, was an LACo lifeguard at Zuma Beach along with his brother Keith... 1964 to late 60s before moving to New Zealand. Editor's note and excerpt from www.wakaama.co.nz link above: "Kris passed away suddenly Thursday (June 30th) at Whangarei Hospital. He will be at the Newberrys Funeral Home until 5pm Friday 1 July. After which time he will be taken home to Ngunguru." Here is some research I've just done and a couple of photos that I found by search "Moana Nui" that I found in the linked story you forwarded to me. "I also lived with Bruce (Kris) and Larry Loginbill in 1966, my last year at Long Beach State. Bruce and his brother Keith both worked summers at Zuma Beach, where we lived in a facility much like a surf club in New Zealand. 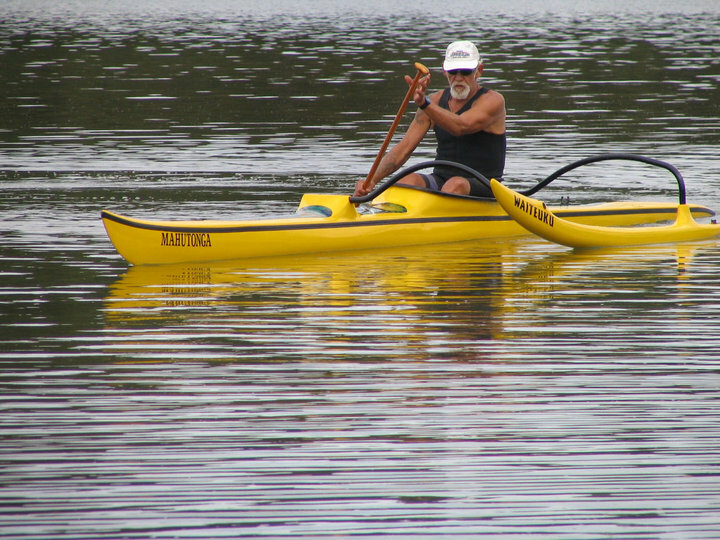 I knew he left on a trimaran for Hawaii and then to New Zealand in the late 60's where he settled. I am sorry I was not able to recontact Bruce, and now it is too late. He was respected and admired by many of his fellow lifeguards." With the recent info sent out about the passing of former Zuma lifeguard Bruce Kjeldsen, I thought you might enjoy the following photo of a 1964 Zuma competition crew that competed in, and won, the annual Santa Monica Arts and Sea Festival. 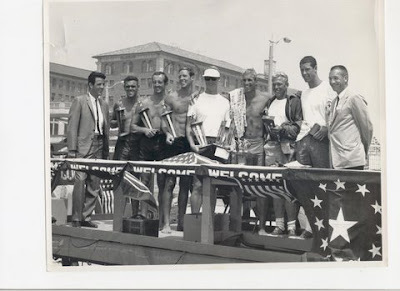 The lifeguards (not wearing coats and ties - they were the Santa Monica City reps) are from left to right Bob Burnside, Sheridan Byerley, Larry Hanes, yours truly, Darrow Miller, Bruce Kjeldsen and Larry Loganbill. The competition consisted of drawing for your event in the competition. The events consisted in an Iron Man, a Paddle Rescue, a Surf Rowing Event and a Two Person Landline Rescue Event. One of the competitors was the team "victim" in the events. I don't recall who was who except that Hanes was the Iron Man (and won) and I did the Paddle Rescue event (and won). I was the "captain" of the team also. This photo was taken in front of the old Del Mar Beach Club (later to become Synanon; and presently, the Hotel Casa del Mar) at the foot of Pico Boulevard. lifeguards, we extend our sincere condolences to Kris' family and friends. May he rest in peace. Many thanks to Larry, Tom, and Jim for sharing their thoughts and to Jim for the great b/w photo from "back in the day" showing Kris with his Zuma teammates. The trimaran that Chris sailed to Hawaii had among others on board, our own "Admiral Ed Perry". Ed related much of the trip of November 1968 I believe, which is late in the season to cross to Hawaii...He said that they experienced 18 days of gale force winds and seas to 35 feet. 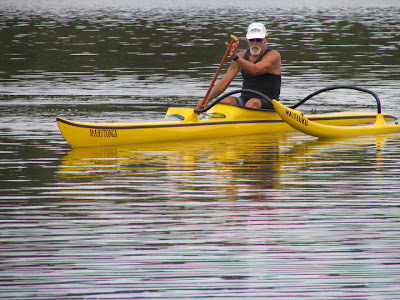 This was Ed's only "crossing" on a small craft of that sort. Chris sailed some after that, I believe through the S. Pacific and then to New Zealand where he settled. Aussies To Challenge For Taplin Trophy! Seal Beach Lifeguards: On Duty And On It!